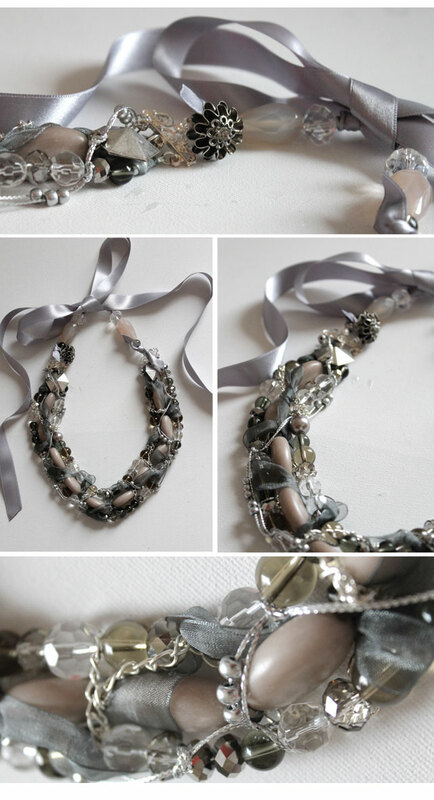 Here is the last of my handmade Christmas gifts; a really gorgeous, silver, smoke and mauve necklace. I really loved making this, it came to life as I treaded and intwined each layer - it was very hard to know when to stop! I finally did, and have to say it really is one of my favourite pieces I have ever made. Want to see more? Have a look at this pretty green version and some very lovely blue earrings. Erm... you are very clever! This is lovely, I adore the colours. Thanks Jo! I love these colours, frets always look so good layered up. That is so pretty! Can u recommend a good starter book for making jewellery? Mainly adding clasps etc?